Hi everyone, I'm over on the Sunny Studio Stamps blog today using the new Birthday Balloon stamp set. 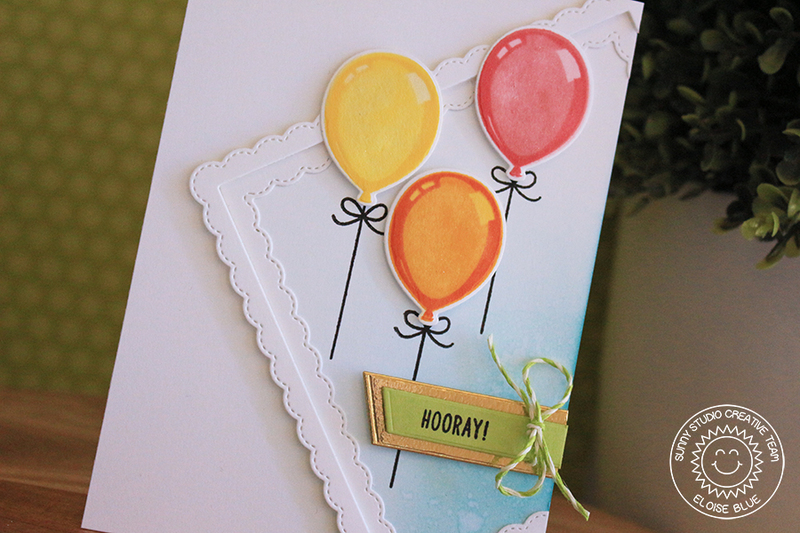 It's one of the newest layering sets and it's super fun! Also, it's a 3x4 stamp set which means it's super affordable! Be sure to check out the blog post to find out more information on this card. Oh how lovely Eloise. I love this.